Measure twice, cut once! Elementary, isn’t it? 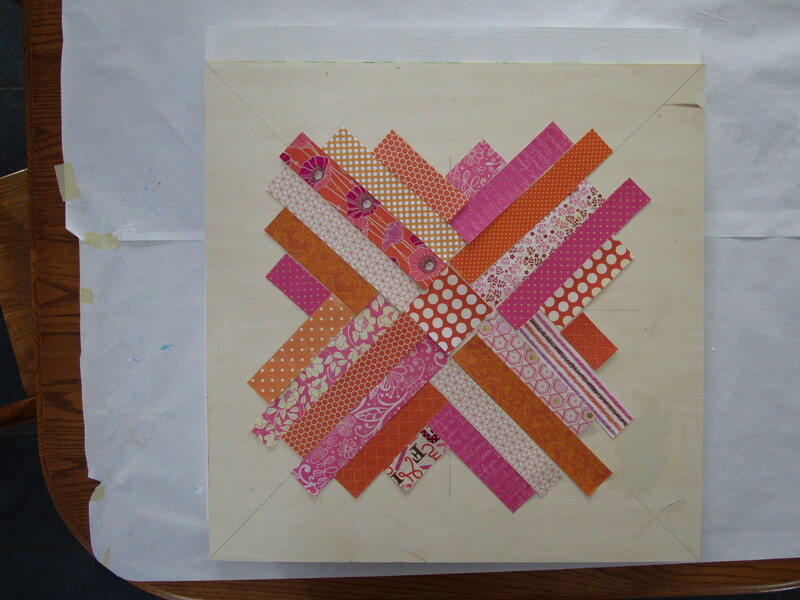 And yet I failed to do so when creating this piece. This piece was my first attempt at creating a colorful version of a photo I had seen that used laminate pieces on a plain white background. I didn’t print the original photo, as I wanted to use my own measurements and design sense. 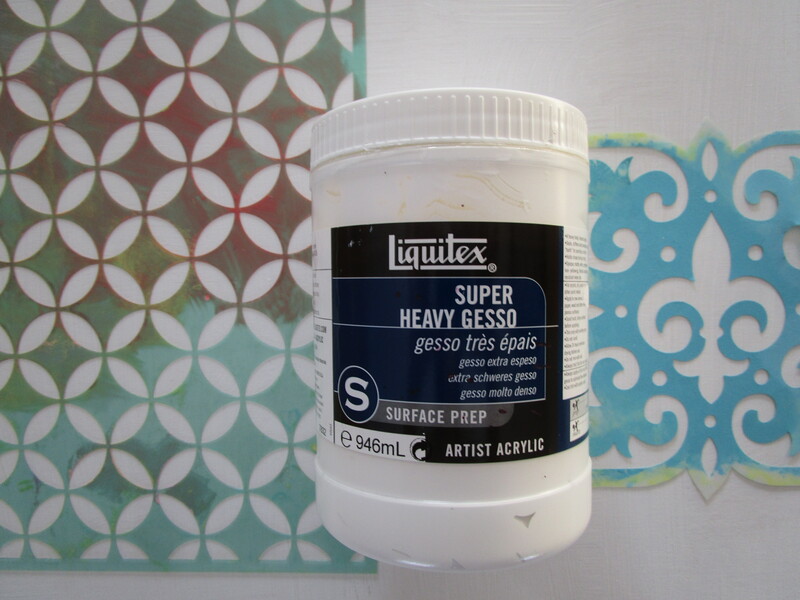 Super heavy gesso was used to create texture on a cradled birch panel. I used different texture tools, as these stencils didn’t give the effect I was looking for. 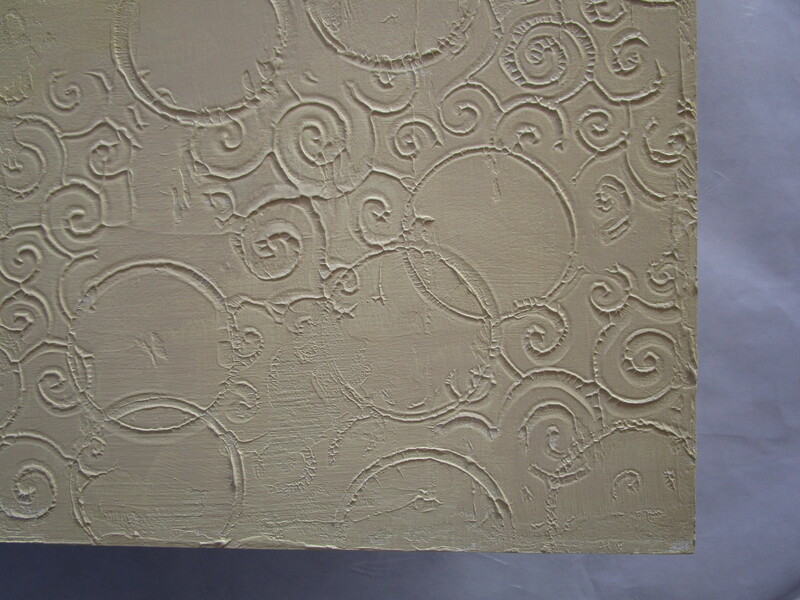 Detail of texture and base layer of yellow. 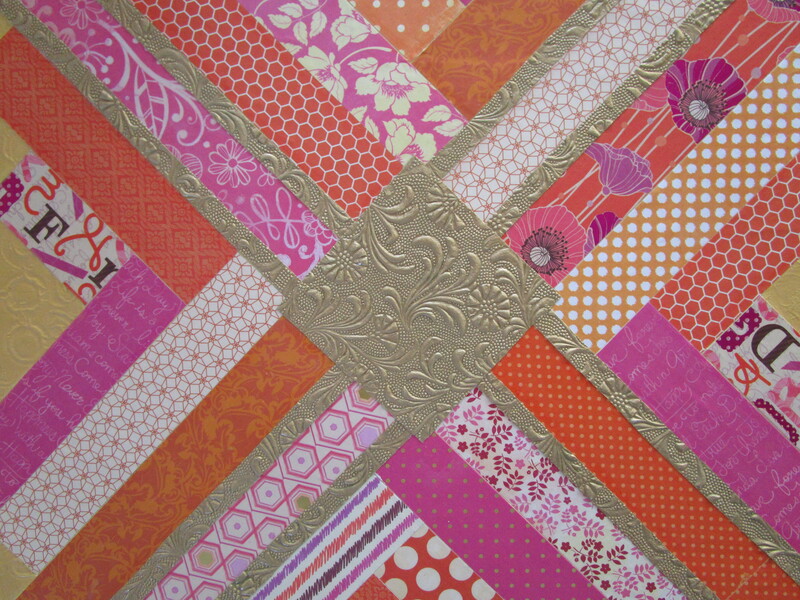 The gold center and thin strips were my answer to this dilemma, and I think served to make the piece much better. 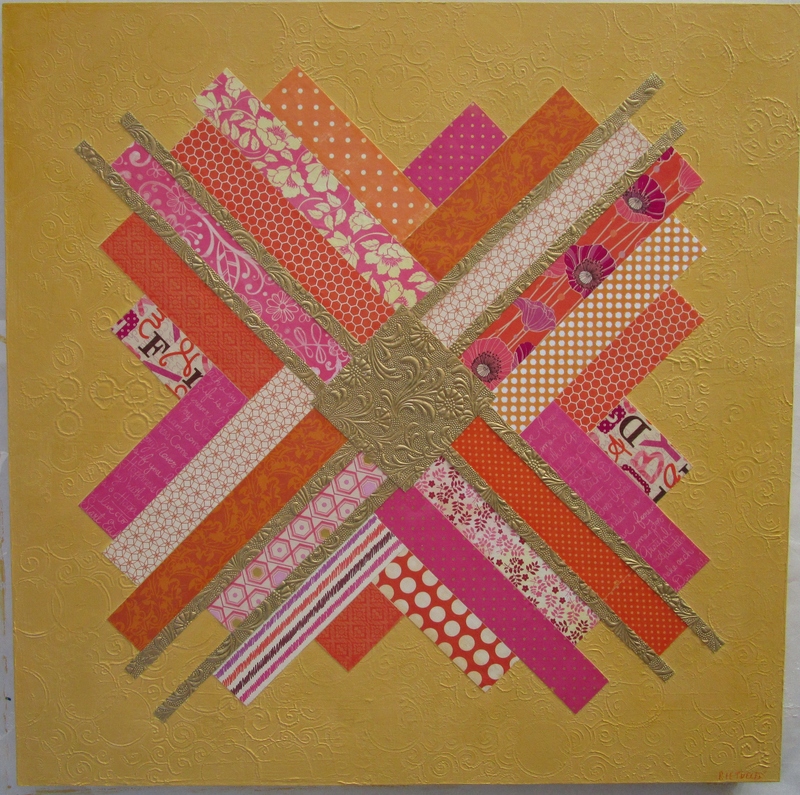 “Sunburst” – mixed media collage on 24x24in cradled birch panel. After warming up the yellow background with naples yellow and adding a little distress ink, the piece is finished. Thanks again for visiting my blog. Have a great day!